The Giro Privateer has a everything for a weekend warrior to an aspiring elite racer. The microfiber upper is supple with a micro-ratcheting buckle for supreme fit, while a reinforced toe box and stiffest-in-class nylon outsole rival more expensive composite-soled designs. Aggressive dual-density lugs and mounts for toe spikes mean excellent traction on gnarly hike-abikes or the muddiest cyclocross course. 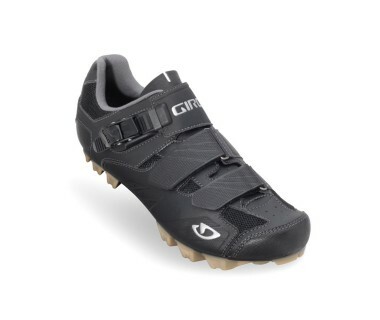 If you need a shoe that stands up to hard riding and racing on a budget, this is the one.